If you are new to affiliate marketing, you can familiarize yourself by reading the Basics of Affiliate Marketing, When Is the Right Time To Start Using Affiliate Marketing, and the Best Affiliate Networks for Beginners. Our Affiliate Marketing Guides should help you better understand the advantages of affiliate marketing and get you started. Why is now the time to use affiliate marketing? Although it’s been around for over 20 years, there are a few reasons why affiliate marketing is flourishing today. E-commerce is constantly growing and still has a way to go. Social media has changed the way people connect, influence, and are being influenced. There are more influencers wanting to make a living from doing something they love, and technology makes it easy for everyone to join. There are more small businesses understanding that through happy customers they can reach new target audiences. There are more businesses starting their own in-house affiliate programs rather than being part of big affiliate networks or sub-affiliates. There are more busy consumers buying online and looking for reviews and information prior to making purchase decisions. 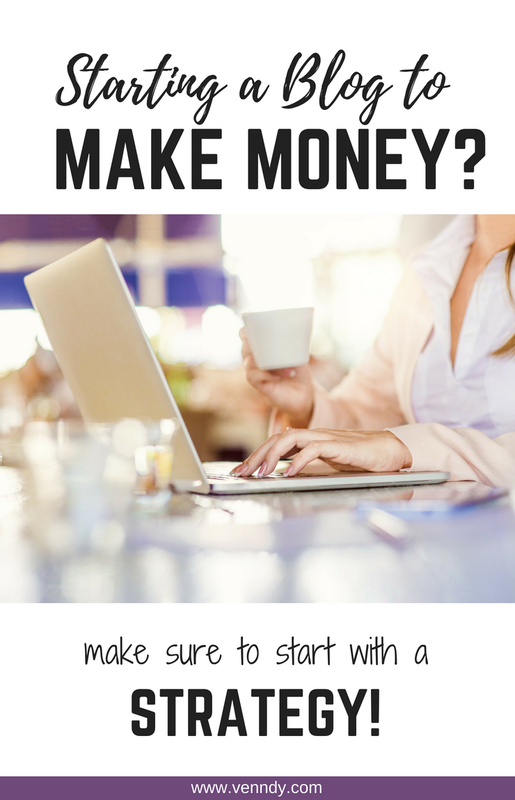 How do you start using affiliate marketing? To make affiliate marketing work, you first need to understand the basics: what affiliate marketing is and how you can easily implement it from the very start. Doing affiliate marketing the right way is important. It will allow you to build your long-term credibility and to be authentic and true to yourself, so that you can enjoy your online journey and keep going forward. It will also let you create a pleasurable environment for your readers, who will thank you for your advice and recommendations. First off, you need to build and implement a strategy that will help you focus on creating high-quality content that can be converted into sales. 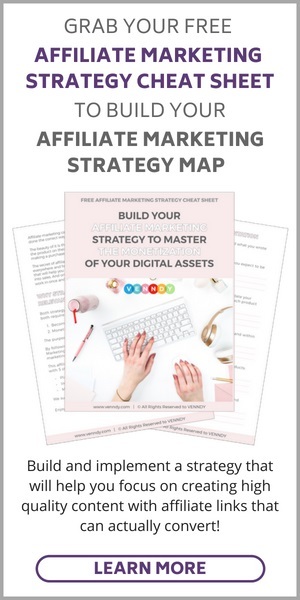 If you’re new to blogging or to being an influencer on social media, creating a strategy map can help you find your niche and start of with a focus and clarity; defining your niche, targeting the right audience, and promoting in effective channels are only part of the process. 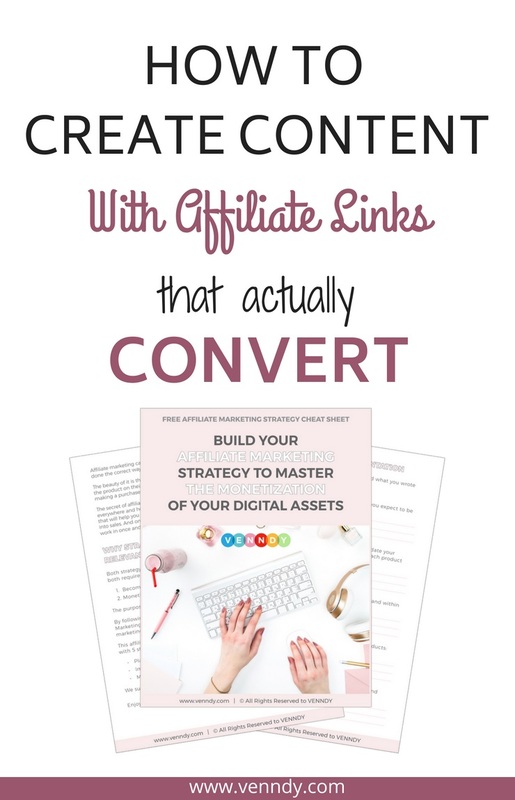 Why do you need a strategy before you start using affiliate marketing? A strategy is the overall method or plan that will help you achieve your overall aim or desired goal. It is what sits in the back of your mind and helps you decide on your actions – in other words, tactics. You can make many tactical decisions, but they all need to be consistent with your objective and your pre-planned strategy. Mission – Why are you doing what you’re doing, what’s your motivation? Objective – What are you trying to achieve, what is your goal? Strategy – How are you going to achieve it? Tactics – What will you do to achieve it? I don’t know about you, but for me, cheat sheets were always life savers when I was studying, whether they included math formulas at school or headings and précis in university. 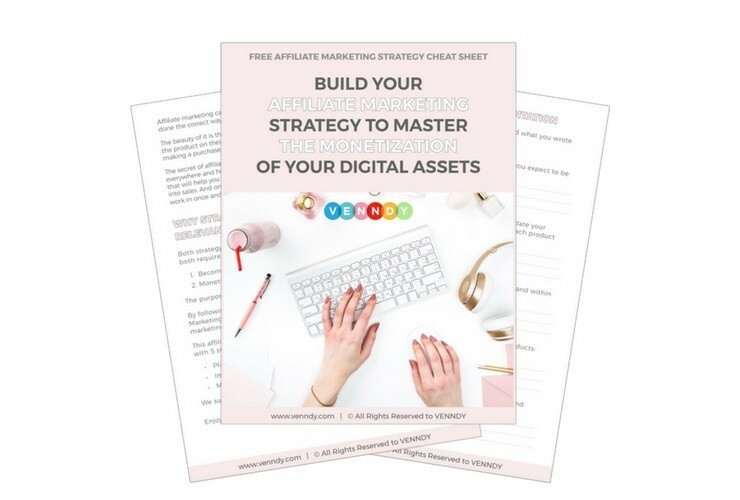 A visual picture of the whole topic can help you get a clearer vision of your overall strategy and focus on what you need to do to get there (i.e., to achieve your affiliate marketing goals). 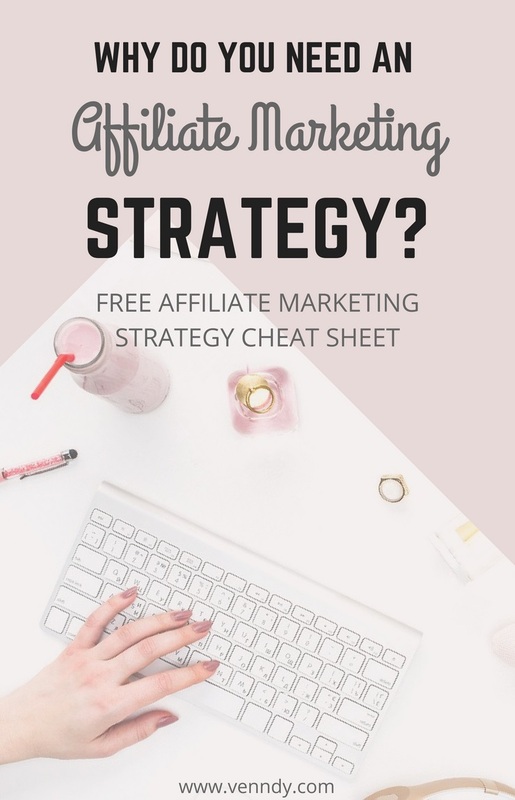 Our "Affiliate Marketing Strategy Cheat Sheet” will take you through the steps from thinking about your WHY, through implementation of your affiliate marketing plan, to how to make it work by promoting effectively. It will help you clear your mind and focus you on your desired outcomes! We would love to hear about your experience and to be of assistance in your online affiliate marketing journey.